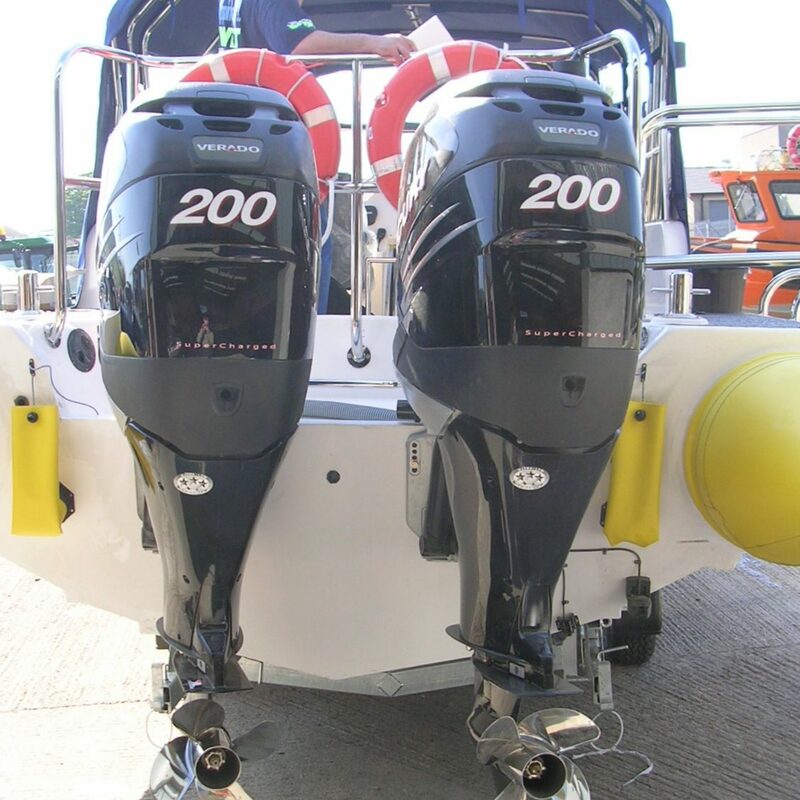 The Stormforce 11 is the flagship in our range and offers the best that RIBs can offer. 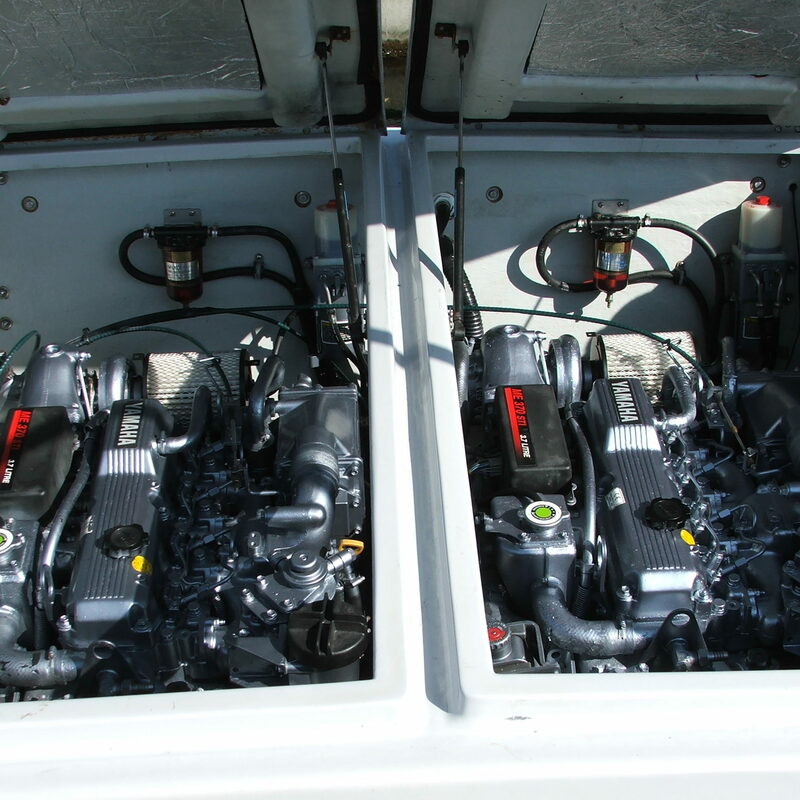 The 11 was a natural development from the 9.1 due to customer demand for a larger RIB. Puffin Dive Centre in Oban took the first two boats out of the mould for their operations on the West Coast of Scotland and since then the 11 has developed and continued to grow in its popularity, with every 11m RIB being unique and customised according to our customers requirements. 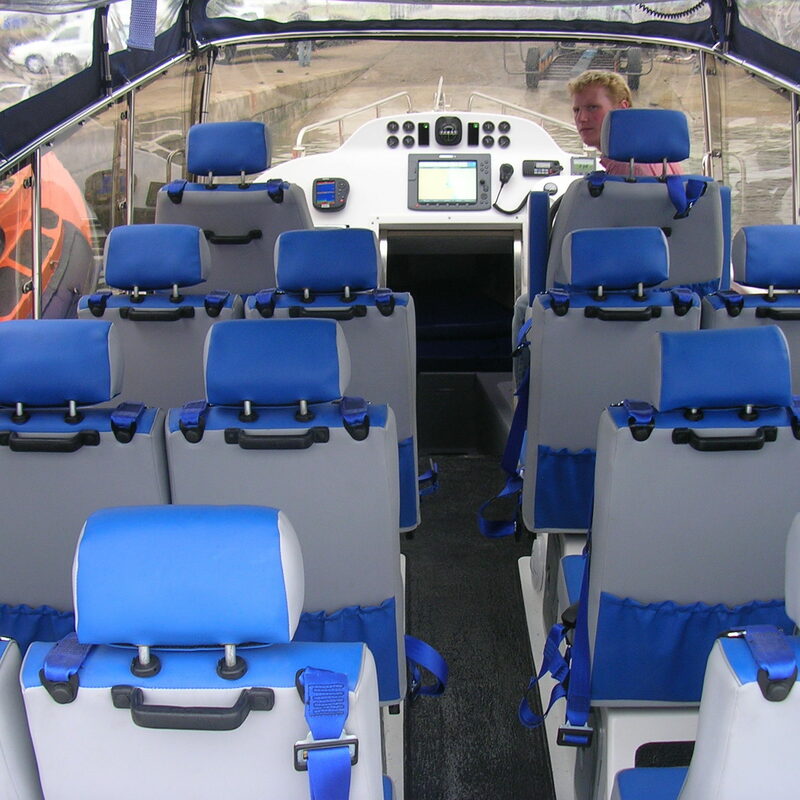 The Canopy Mark II version was primarily designed for the large increase in demand for Sea Safari style Passenger Ribs; the safe cocoon developed by the high sides of the Wrap Around Console make it exceptionally safe for passengers. The shelter offered by the removable canopy means that there is no requirement for passengers to put on drysuits and you can arrive at your destination warm and comfortable. The high levels of all round vision offered by the Lexan Wrap Around screen ensures that you won’t miss a thing. The Stormforce 11 is a deep V hull form which is one of the reasons that this RIB has such fantastic abilities in rough offshore conditions. The Deep-V hull is combined with sprayrails to produce additional lift and improve the hydrodynamics of the hull. The tube is designed to sit firmly in contact with the water surface while at rest, ensuring that the RIB has maximum stability. One of the major safety design features is the Hard Nose which, after many years of testing, has proven itself one of the most successful features on this design. 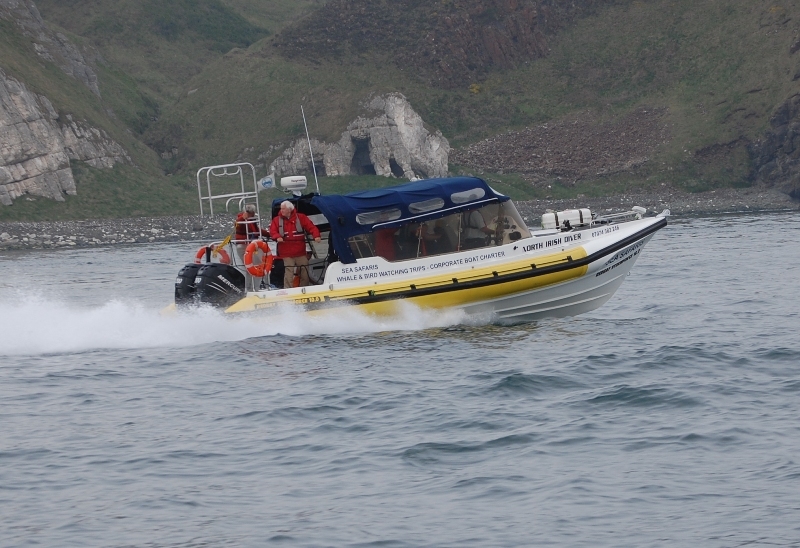 When a RIB such as this is driven hard in a large sea state, there is a real risk that detubing could occur; the nose is designed to offer complete protection to the tubes when operating in these conditions. Furthermore, there are two independent tubes on each side of the hull offering even greater safety. 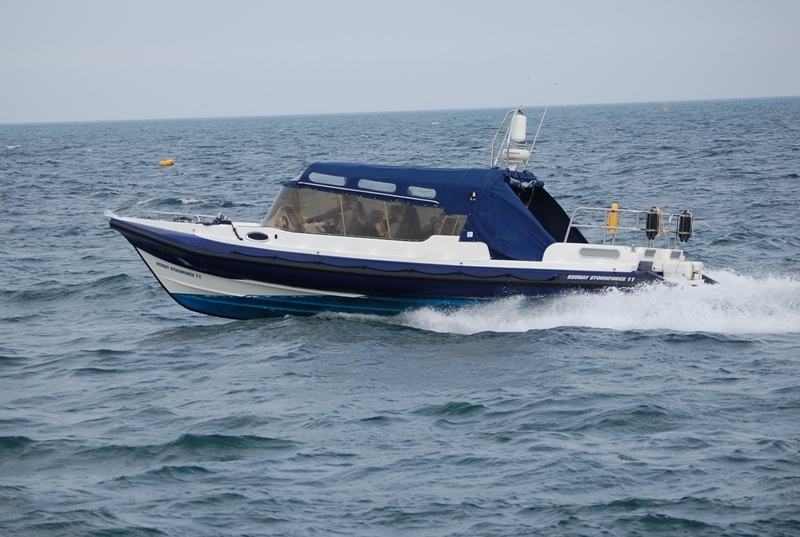 The other features of the hard nose are mainly for practicality; The GRP nose offers a much more suitable platform from which to anchor or moor without with damaging the tubes. It also offers much more internal space in the form of a large dry storage locker, and in some models, features twin berths. 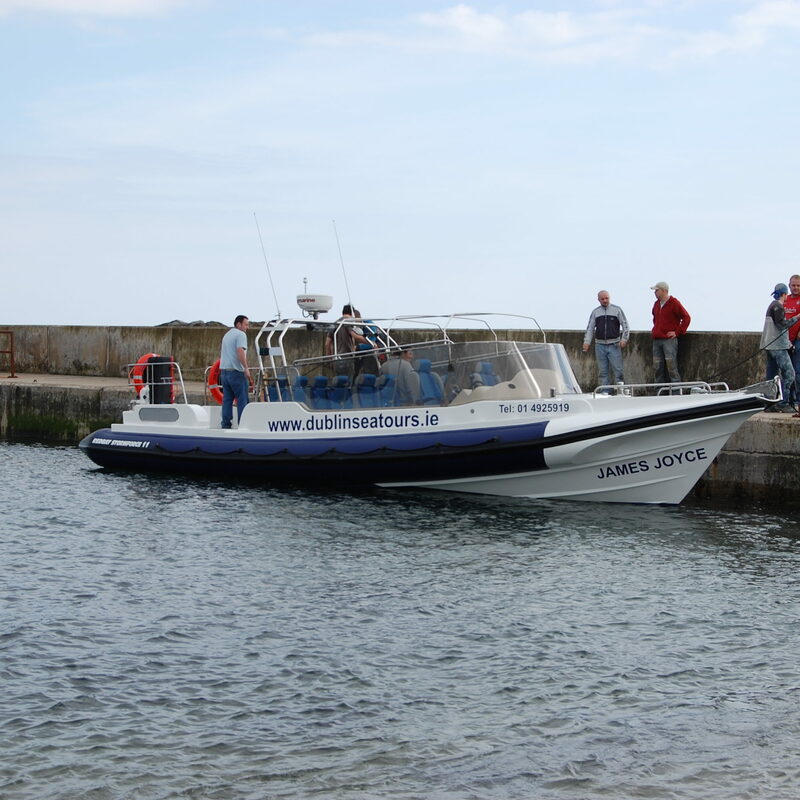 The RIB can be powered by any propulsion system but is ideally suited to Twin Yamaha Diesel Sterndrive installations. 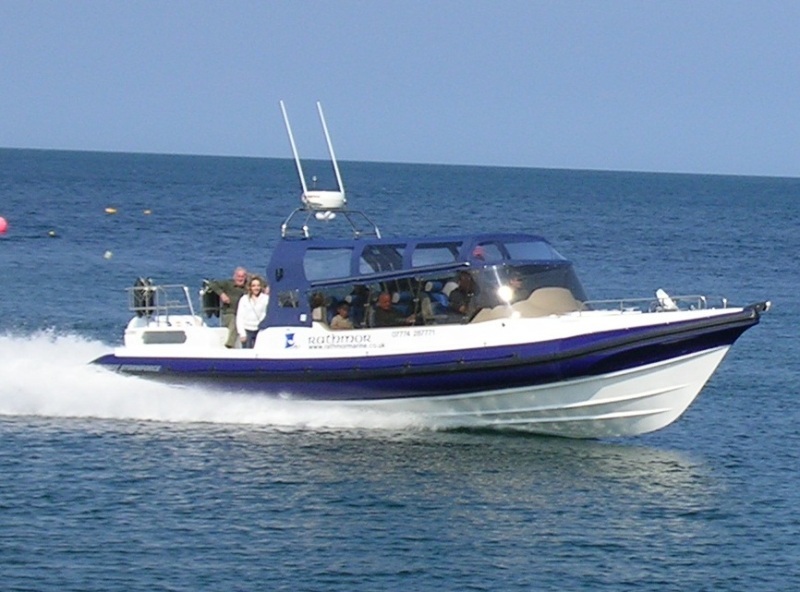 The RIB is separated into three main sections; the Helm, Crew Space and Controls, and the Passenger Space. 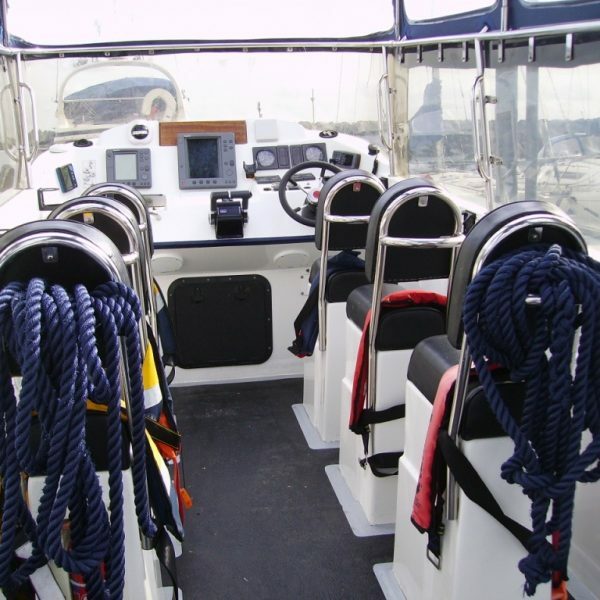 The main space includes the Helm and Crew positions, and includes all the controls and navigation aids. and behind them is the main passenger space, normally fitted with seating for 12 passengers plus 2 crew. 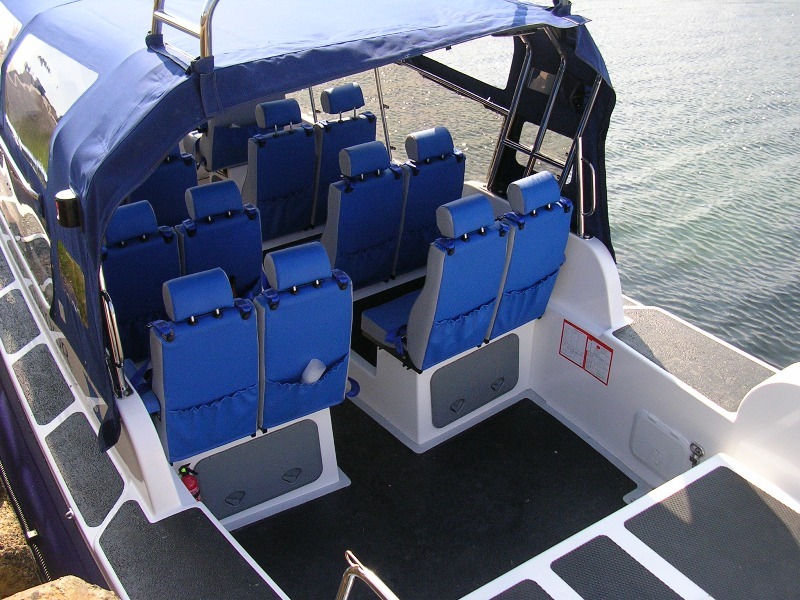 All seating has full height backs and 4 point safety harnesses and the arrangement of the seating can be tailored to the needs of the operator. In front of this space is a double berth, which can also be fitted with a sea toilet. Aft of the passenger space is the engine bay and breather box arrangement, which can also serve as an additional viewing platform.